Located in Bacolod, Caribbean Waterpark and Resotel is within a 15-minute drive of Gaisano City Mall and SM City Bacolod Northwing. Featured amenities include a business center, dry cleaning/laundry services, and a safe deposit box at the front desk. A roundtrip airport shuttle is provided for a surcharge during limited hours, and free self parking is available onsite. With a stay at Hotel Sogo Bagong Barrio Caloocan in Caloocan, you'll be within a 15-minute drive of SM North EDSA and TriNoma. Free self parking is available onsite. 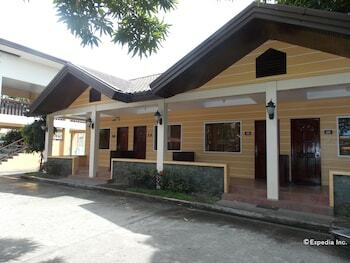 Located in Panglao, Dormitels Bohol is near the beach, within a 5-minute walk of Panglao Island and Alona Beach. With a stay at Newgrange Condotel, you'll be centrally located in Quezon City, within a 15-minute drive of Smart Araneta Coliseum and Fisher Mall. Free self parking is available onsite.